Émile Gallé was best-known as an Art Nouveau glassworker. He was a founder, along with fellow designer Louis Majorelle, of the École de Nancy in the small town of Nancy 200 miles southeast of Paris. 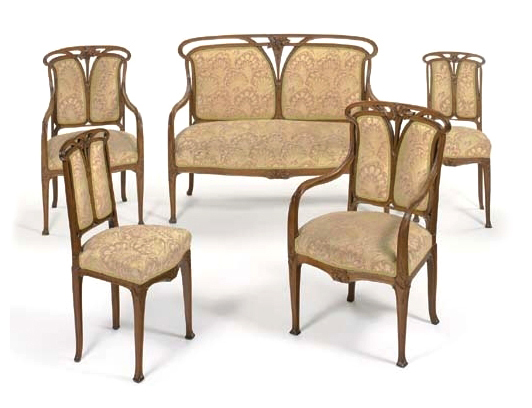 The Art Nouveau designers of the École de Nancy were inspired by Japonisme (a Western take on the Japanese aesthetic) and nature—like all Art Nouveau designers—but were also influenced by Baroque and Rococo styles of the 17th and 18th centuries. Above his studio entrance, Gallé inscribed a quote: “Ma Racine est au fond des Bois”, or “My Roots lie in the heart of the Forest”. 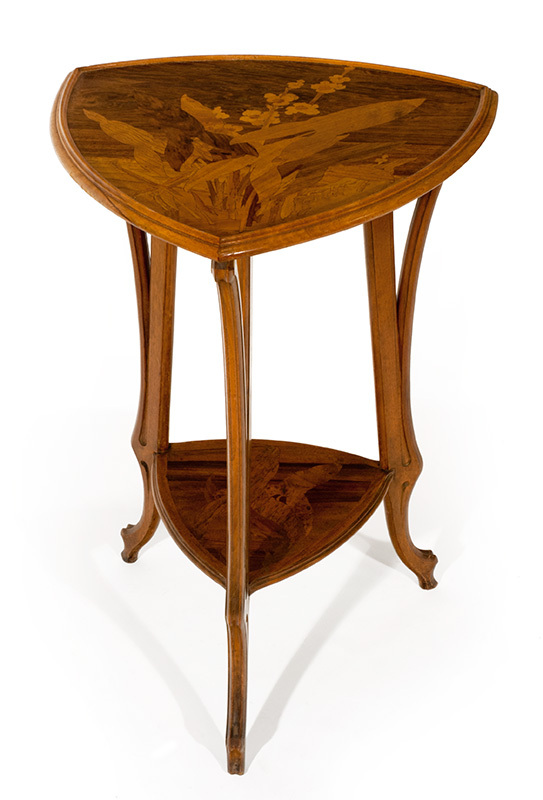 This table incorporates naturalistic lines, fiddlehead fern motifs and inlaid wood marquetry, including the shape of a butterfly.